The most important place of a house is the bathroom, as we carry out personal hygiene routines multiple times a day. These activities can be related to the use of shower, bathtub, sink and of course the porcelain throne, AKA the toilet. Due to the high use and the nature of the activities, the bathroom requires to be built in such a manner that satisfies both need and comfort of its user. 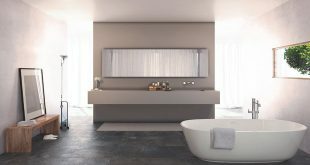 The designing and planning of a bathroom are not new – it has been taking place since the development of earlier civilizations. Bathroom designs have evolved in various stages and in various parts of the world. Historically we look back to the early ‘Sento’ in Japan, ‘Hammams’ of Arabs and ‘Turkish baths’, all the way to today’s bathroom. The main design considerations to be kept in mind during remodelling are plumbing, electricity, lightning, water, furniture and towels. All these things are to be designed in a systematic manner to ensure they are installed correctly and create a functional and aesthetic space. Performing all this requires an extensive level of skills and experience. A professional in this line of work will have undergone extensive training and skills to perform this work at a high level. How to remodel your bathroom: You are the user and it’s your decision how your bathroom should look. Therefore, it is up to you to explain all your requirements to your remodelling contractor, either verbally or via pictures of previous designs. These designs can be related to any accessory in the bathroom be it fixtures, wallpapers, lightning accessories, furniture, as well as the layout of the room. Luckily, some bathroom remodelling companies have software that allows you to put together a 3D image of how you want the space to look. After proper selection of any design, the contractor will be in a position to tell you about the price of the renovation project. Which remodelling contractor to choose: As you already know, remodelling a bathroom requires high level professional skills and experience so choosing the right contractor is a task that can be accomplished in two ways. Firstly, you can choose from the contractors who have successfully performed projects for your neighbours or friends. Getting referrals is always a good way to find a professional who will perform the work to a high standard. Here, you can also compare the differently designed bathrooms from different contractors and choose the one which suits your specific requirements. You can trust these contractors as you have already seen their work and they may also look after you with price, since they have been referred from your friend or neighbour. This is exactly how we found our preferred company. My Bathroom Renovations was referred to us by our neighbour, and he did an amazing job! Secondly, you can choose the rebuilding contractor from the list of local sites online, where you will have multiple choices from many works. You can check their recommendations and review of their work done online and decide accordingly that which contractor will suit for your bathroom remodelling work. Don’t just blindly select any contractor, as the names online can also be of unprofessional or new contractors which might have very less experience and will ultimately get you in trouble. Most professionals will be happy to come and take a look at your home free of charge and provide their opinion and then a price for the bathroom renovation. So don’t be afraid to call a few different contractors, and see which one you feel most comfortable with.